The following links are to other sites and resources where you can find information about alpacas or services that will help you with your alpaca business. 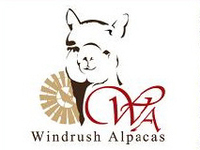 alpaca show system, providing education to the Association’s members and to the public about the operation of sustainable alpaca businesses, marketing alpacas and the use of alpaca products, and promoting scientific research to the benefit of the alpaca industry. enzymes. If you have not ordered from Natur's Way before drop me an email and I have a coupon I can send you for your first purchase. NFP - North American Alpaca Fiber Producers. produced in North America for Alpaca Fiber Producers who have their fiber sorted by a Certified Fiber Sorter Mountain Rose Herbs - a great source for the freshest bulk organic herbs and other herbal products. Click on the Mountain Rose Herb banner above to be taken to their website. by alpaca producers in North America for the purpose of collecting and processing alpaca fiber and distributing alpaca fiber and related products and the profit from them to its owners (members). Go to My PC - a handy tool to have when you are on the road to alpaca shows (or any other reason). Always have access to your PC. Click on the banner above to try it for free. between Alpaca Breeders and Pendleton Woolen Mills to provide a North American Resource for the alpaca community to have for the use of their fiber.